When owner Steuart Pittman shared the news of Salute the Truth’s passing on his Facebook page, the response was overwhelming. 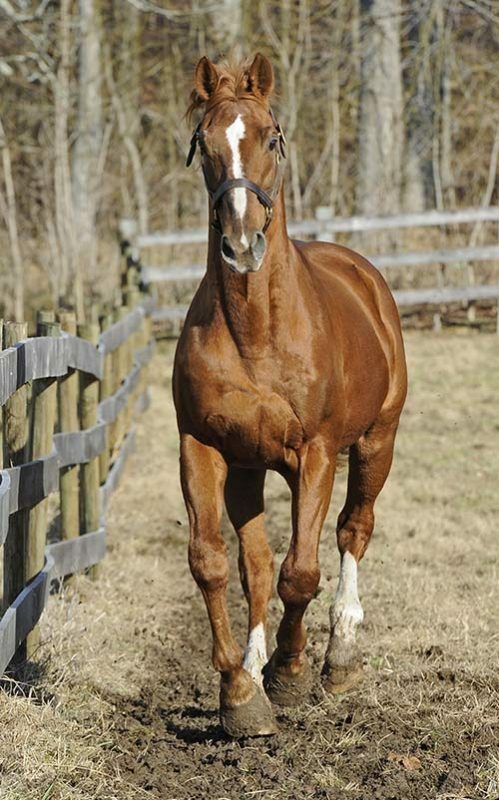 Over 700 people posted comments with condolences and stories about their own horses by the Maryland stallion. His post was shared over 200 times. When The Equiery posted on Facebook a call out to owners of Salute the Truth offspring to share their photos and stories, the reach was over 9,000 with many sharing our post with friends and family and even more posting comments right on our page. The result is photos and stories of Salute the Truth babies flooding our digital inboxes from all over the country. From Washington state to Florida to Connecticut and everywhere in between, Salute the Truth’s legacy is vast and their owners love to talk about the wonderful horses he has produced. These are just a few of those stories. If you have a horse by Salute the Truth and would like to share your story, please email editor@equiery.com and we will add to the gallery. 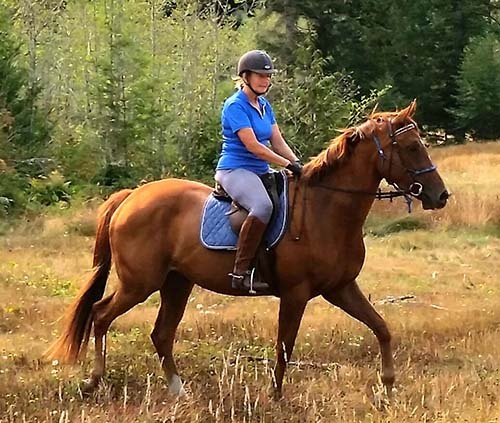 Alison Utting of Centralia, Washington, bred her Thoroughbred Cosmic Romance to Salute the Truth with the goal of producing a quality event horse. “Mission accomplished!” Alison said of her now 11-year-old Cosmic Fusion. “In spite of being a full Thoroughbred, he is steady and calm in most situations,” she added. They have been competing at the Training level with their sights on a full classic three-day event at Training. Alison was so happy with how “Mick” has turned out that she bred his half sister, Cosmic Reflection, to Willie in 2013. Surely Cosmic was born in 2014 and already shows the same sensible disposition that Mick has from their sire. Julie Worley of Aiken, South Carolina, purchased FMF Toucan Salute from the Fultons of Full Moon Farm in Finksburg. Steve and Karen Fulton had bred their Thoroughbred mare Skyewolf to Salute the Truth, and “Milly” was born in 2007. Although she is a full Thoroughbred, Milly is not Jockey Club registered as she was bred specifically for eventing. Since 2014, Julie and Milly have been eventing at the Novice and Training level. The pair recently won the Novice/Training division at Full Gallop Farm, and rode in the 3’6’’ section of George Morris’ Camden, SC, clinic. 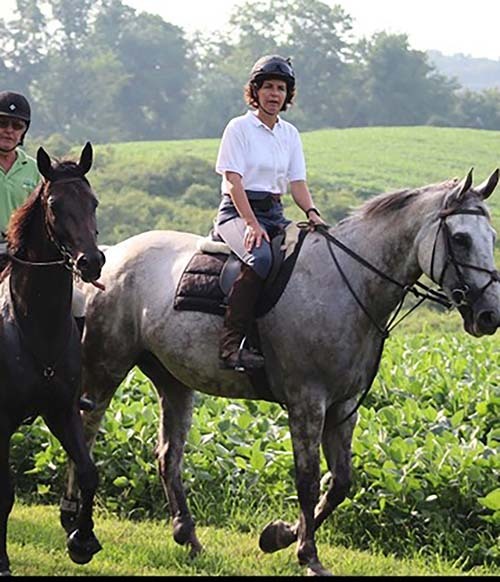 When foxhunter and pony club mom Jackie Hoffman of Smithsburg was looking for a stud for her next horse, Steuart had just opened Willie up for breeding. “I saw the ad for Willie and called Steuart for a appointment to come see him right away. Steuart was happy to jump on him to show me what he had,” Jackie said. 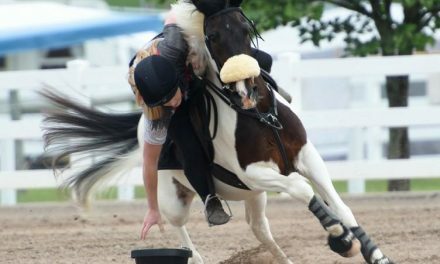 “I remember thinking ‘I want a horse with that brain’” And thus came Full Throttle, out of a Belgian mare named Honey. “Fig” and Jackie learned to foxhunt together when he was just four years old. They went from hunting in the field, to leading the field and then whipping-in. But foxhunting wasn’t the only thing Fig was built for. Today Fig is living with Kevin Bowie at Good Choice Farm in Clarksburg, teaching pony clubbers and novice foxhunters the ropes. 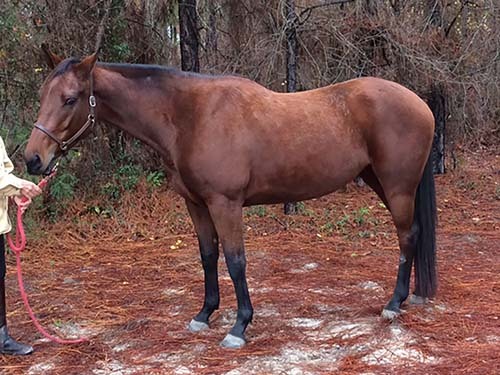 Leap Of Faith is a four-year-old filly out of Andrea Chisholm’s (Southern Pines, NC) Cleveland Bay/Thoroughbred mare IdleHour Titanic. “Faith” is ¾ Thoroughbred and ¼ Cleveland Bay. 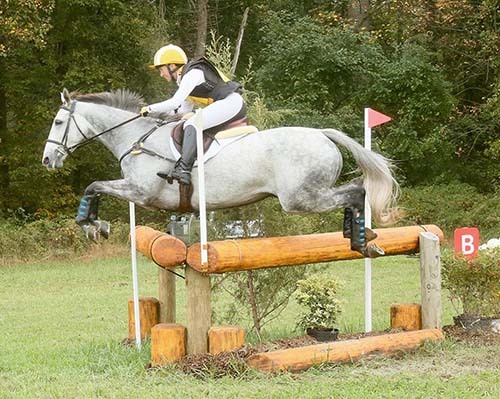 As a two-year-old, Faith won the — USEA Future Event Horse competition at the Five Points Horse Trials in North Carolina. Currently the mare is in training with Nanci Lindroth of Jackson Springs, NC. 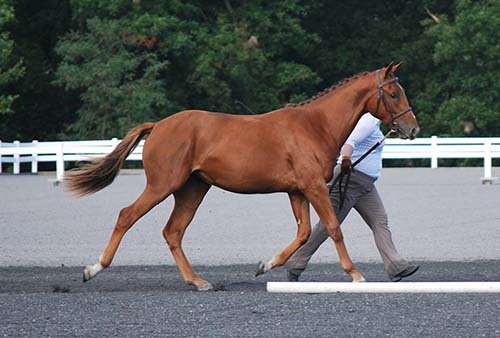 Leigh Tilghman of Kentucky chose to breed the Trakehner Malibu Bay to Salute the Truth because of his athleticism, appearance and disposition. Marked by Truth is only two and a half years old now but already shows many great characteristics of his father. 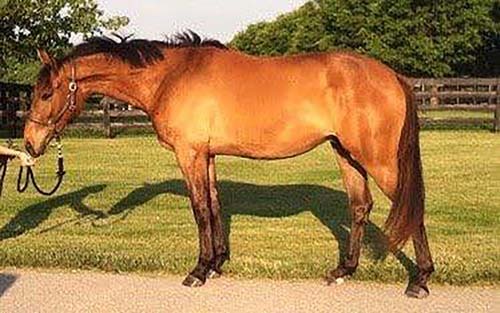 “His quiet demeanor and extreme intelligence is a reminder of how wonderful his sire truly was,” Michael Fishman (who submitted this photo) said. 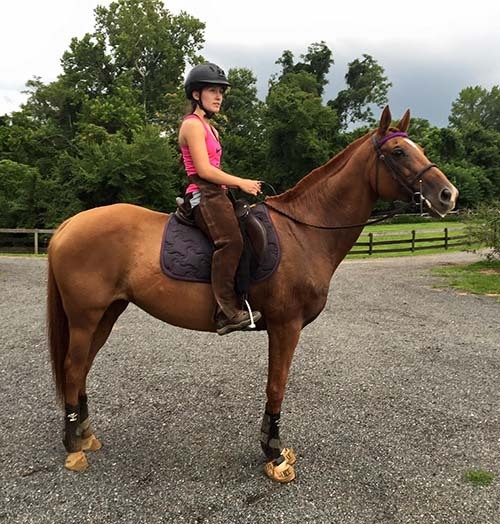 The gelding is already 17 hands and is currently in training to be an upper level “A” circuit hunter or jumper. Bred by Bruce Davidson, Sr., out of his mare Diamond Lion, half sister to the famed Eagle Lion. Christine Pitcairn of Litchfield, Connecticut, purchased “Ollie” as a four-year-old from Bruce. 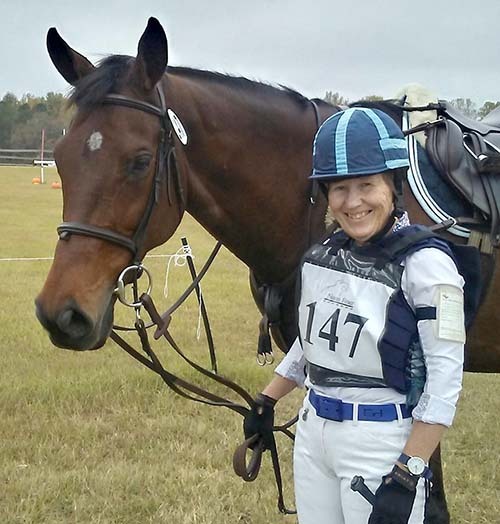 Christine decided to work for Bruce and with his help, brought Ollie up through the levels of eventing. While they were competing at Preliminary, Christine had a career change and started a business providing animal actors for television, film and print work. 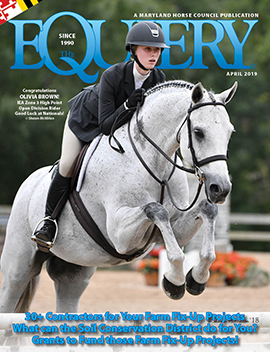 “Ollie is one of our best equine actors/models,” she said. 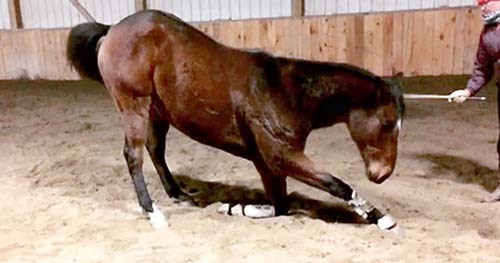 “For our business, our horses need to be able to work anywhere, around any distraction, because you never know what you will encounter.” Ollie has learned a long list of tricks and most recently performed at liberty on a busy New York City movie set. Meriwether Morris of Upperco, MD, says her whole family fights over who gets to hunt Reality Check “Checkers”, a 10-year-old Salute the Truth son she purchased from Katie Marquette a few years ago. He is out of Katie’s half Percheron mare and is 17.1 hands. “He is light on his feet and a remarkable jumper with a super enthusiastic attitude,” said Meriwether. Salute the Captain has already been in The Equiery as he made our 2008 Foal Photo Contest spread! He is a gelding out of the track winning mare Pippi Highstocking. “Captain” was the mare’s only foal and was bred by Marsha Spencer and Erin Durst of West Virginia. As a yearling, the stunning gelding cleaned up in the — USEA’s Future Event Horse Series, winning three out of three yearling classes (Waredaca, Serra Valley and Loch Moy). At the Loch Moy show, he was overall champion on a score of 81.75. 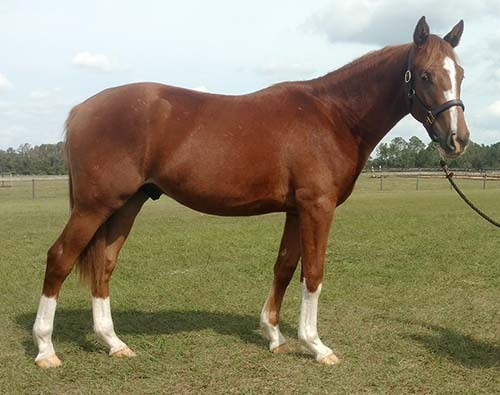 As a two-year-old, Captain was the overall second place finisher in the Colt/Gelding class at the FEH Championships. 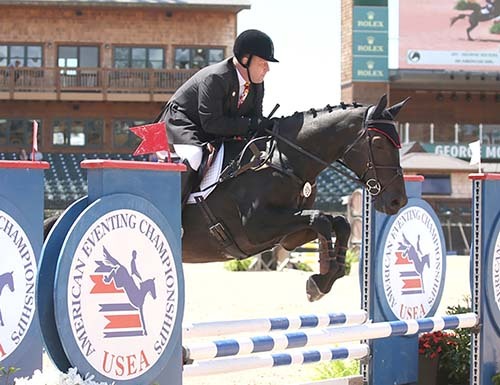 When he was four, Captain placed 10th at the — USEA’s Young Event Horse Championships. 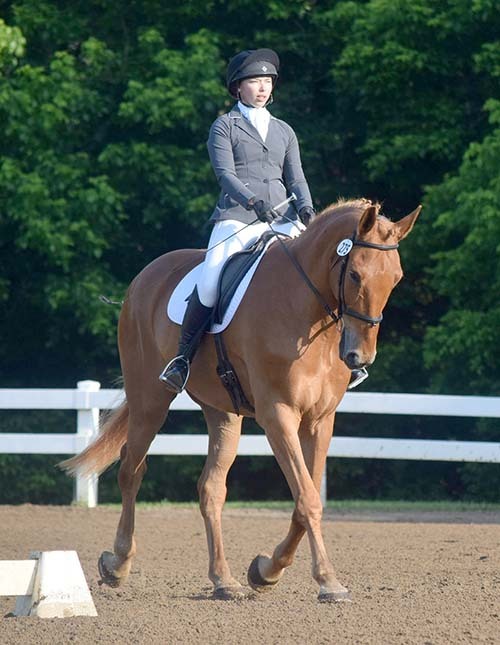 “Today, Captain is successfully competing at the Preliminary level with Erin and continues to be a sound, wonderful partner demonstrating Salute the Truth’s great brain and strong correct conformation,” Marsha said. Kara Maruszak of Cleveland, Ohio, has one of Salute the Truth’s last foals, a 2016 filly named Wild Irish Rose. The filly is out of a registered Irish Draught Sport Horse mare named Irish Cameo Rose. 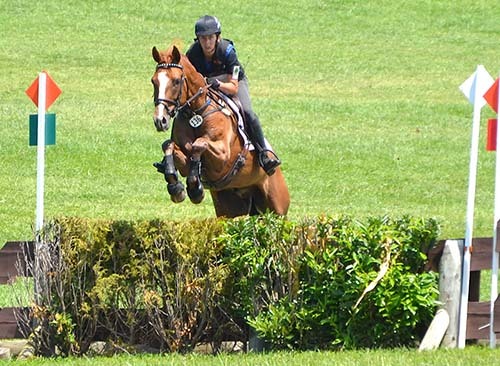 This past year, “Ireland” competed in the U.S. Eventing Association’s Future Event Horse series. She qualified and competed in the — USEA’s 2017 Future Event Horse East Coast Championship at Loch Moy Farm in Adamstown. Read about Salute the Truth!